Please phone the number on your confirmation email twenty minutes before your arrival at Stansted to confirm your drop off point of which there are two, and to make sure our driver is there to meet you on time. If you do not give the car park a twenty minute call this may delay your booking in time AND COULD COST YOU EXTRA MONEY. From all major roads: please follow the signs to short term car park Stansted Airport, enter the short term road and stay in the right hand lane, go pass the bus station on your left and the next car park is the ORANGE, enter this car park collect a ticket and follow the outer perimeter this will bring you to row A & B next to the four pay machines, you will be booked in here, please have your exit ticket to hand. After you have collected your entire luggage and you are through Customs only then, call the number provided on your confirmation email. You will then be given directions either to the front of the terminal building known as the express set down zone C by the two flag poles or the short stay. If asked to make your way down to the ORANGE short stay car park go to row A&B unless otherwise advised. You are responsible for all exit fees. This car park has a 6ft perimeter fencing and frequent security patrols 24/7. 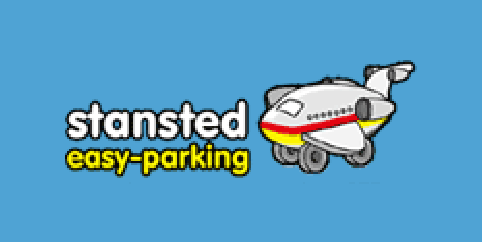 Stansted Easy Parking aim to give you a more personal and friendly experience for business and holiday parking at London Stansted Airport. A family owned business who've been operating from Stansted Airport since April 2003 after identifying the need for a more personal, efficient and effective way of parking at London Stansted Airport. Easy Parking's main aim is the safety and security of your vehicle and work within fully secure facilities. PLEASE NOTE: This service operates between 04:00 to 23:45 only. Please only make a booking if your arrival and departure are within this period. If a booking is made knowingly out of these specified times a £100 levy will be charged on return. If your flight is delayed to outside of these operating hours, Easy Parking will charge an extra £50, but only have the facilitiy to wait until 2am at the latest. If you reach the pick-up point after this time, you will have to wait until 4am. From the 1st June 2018 you will need to pay the driver £3.50 so they can exit the Express set down area after collecting your vehicle. Customers are still required to pay your own exit fees £3.50 (CASH ONLY) after collecting your vehicle on your return journey. Meet & Greet at Stansted Airport - Perfect for business travellers. Secure compound Tarmac, CCTV, Gated, Security Guard Patrols. If you are running late or early just phone us and we will reschedule your meeting time to suit your requirements. Exceptional Customer Service with 13 years experience.